Definitely one of the first rules of staging is "take down all personal photos" ... those snaggle tooth elementary school pics, the smiling clan wearing mouse ears, and the beautiful wedding party gathered to celebrate your big day. Those are personal. They make your home "yours." And they communicate just that to someone walking through the front door for the first time. Someone whom, if you are serious about selling your house, you would like to see the house as "theirs"! That being said, it can be overwhelming and daunting when a professional home stager or realtor walks through and says "take it all down!" Selling a home is difficult enough without adding stress (and expense with all new art!) over how to redecorate ALL of your walls. So where's the happy medium? Take a good hard look at your personal mementos, for example, the silver antique spoon collection hanging in the dining room. Yes, it is personal, but it is also appropriate dining room "art." It adds personality without being specific just to your family. 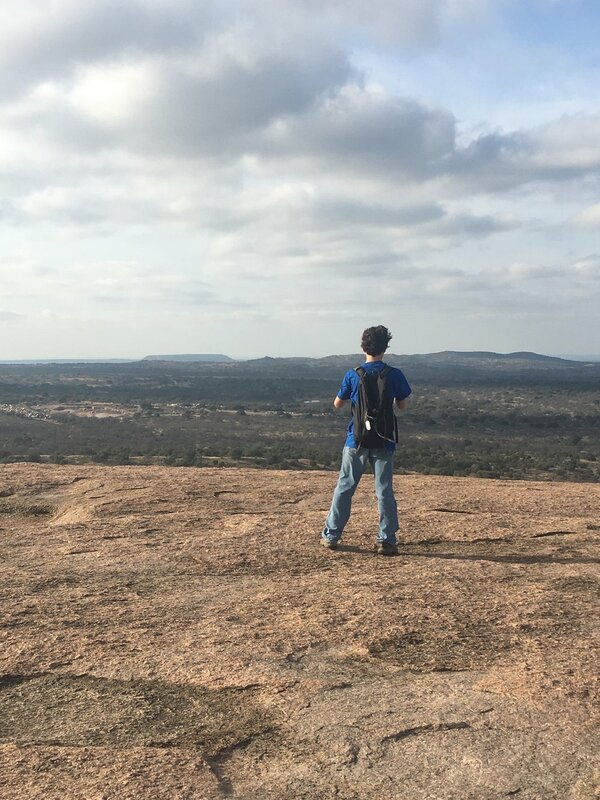 And your son gazing out from the top of Enchanted Rock? Well what better way to say "buy this house and you'll be on top of the world?!" Another good one I recently saw was a cool wooden collage board of destination and "action shot" photos ... river rafting, rock climbing, and fishing. Great focus on the scenery in all the photos! Very small smiling faces. Message received? Check out how adventuresome this house makes your family! Finally, one home I was in had a huge wall covered in antique black and white (presumably of family members) 8x10 prints of vintage smiling faces hung in a collage setting. While they were personal in nature, the overall effect of so many together in such similar styles gave a loving, homey feel to the room. So before you panic over where in the world do I store 16 tubs of giant wall art and photos, put on your art critic hat. If the focus of the print/painting/etc. could have an objective vibe, don't sweat it. Leave it up. Let it communicate the peace, adventure, tranquility, and comfort your house has to offer. Because who doesn't want their home to feel like that? Certainly not a potential buyer.